Pad, body mounting. Used as upper and lower. 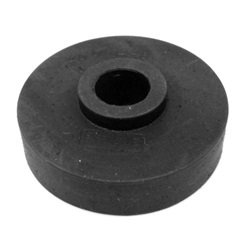 Fully molded rubber with locating collar. Twenty eight (28) are used per car. 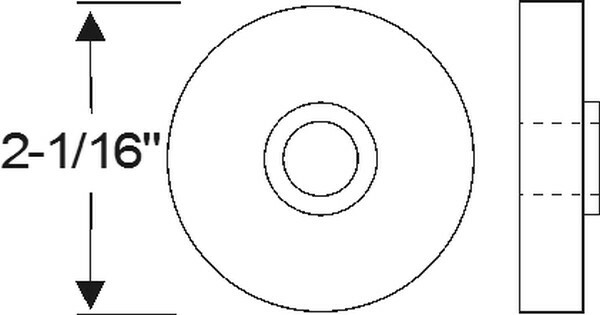 Two and one sixteenth inch (2 1/16") outside diameter by seven eighths inch (7/8") locating collar outside diameter by one half inch (1/2") inside locating collar diameter. 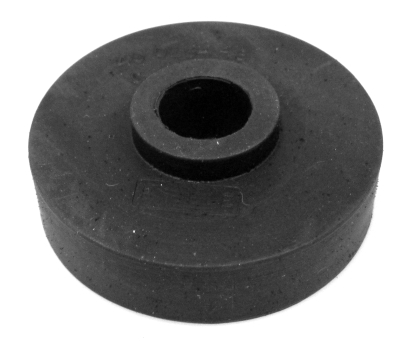 One half inch (1/2") circular base height by three sixteenths inch (13/16") locating collar height by eleven sixteenths inch (11/16") overall height.